"The year was 1969. In the midst of the Cold War, while the United States and the Soviet Union raced to put a man on the moon, the US government also funded a covert study into time travel: The Kronos Initiative. Everything was going to plan until a test went awry, leaving the time machine inoperable and its inventor lost in the far reaches of time and space. Afraid that news of this would get out, the government buried the project, and no one has set foot in the lab since…Until now. We’ve received a strange transmission from the inventor, and electromagnetic inconsistencies around the lab suggest something is amiss. 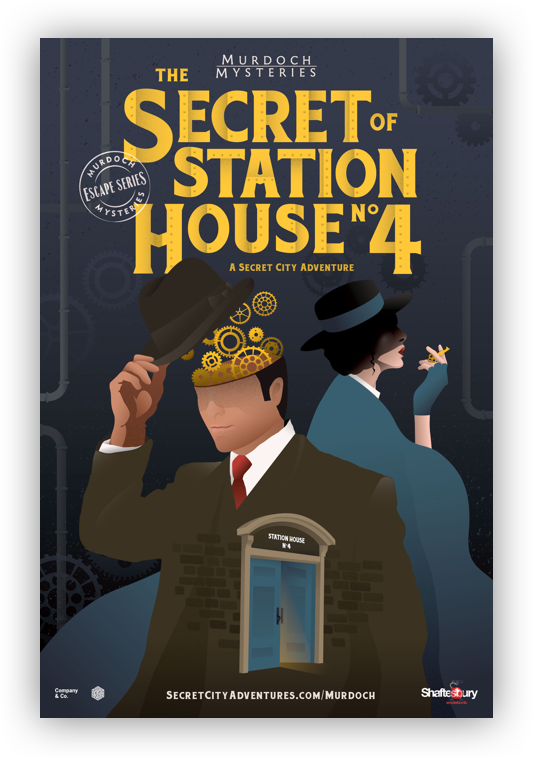 It’s up to you and your group of specialists to figure out what went wrong and fix it, before time runs out…"
This game was built by Sebastopol brothers, Galen and Aiden, who fell in love with escape rooms while touring London. The two decided to create a game of their own using their background in filmmaking and robotics. The set was well crafted with some nice decor and props all within decent sized physical space. There was a good amount of technology built into the room that helped convey the storyline in an entertaining and fun manner. The atmosphere had a polished feel with good puzzle flow and we appreciated how everything came together. 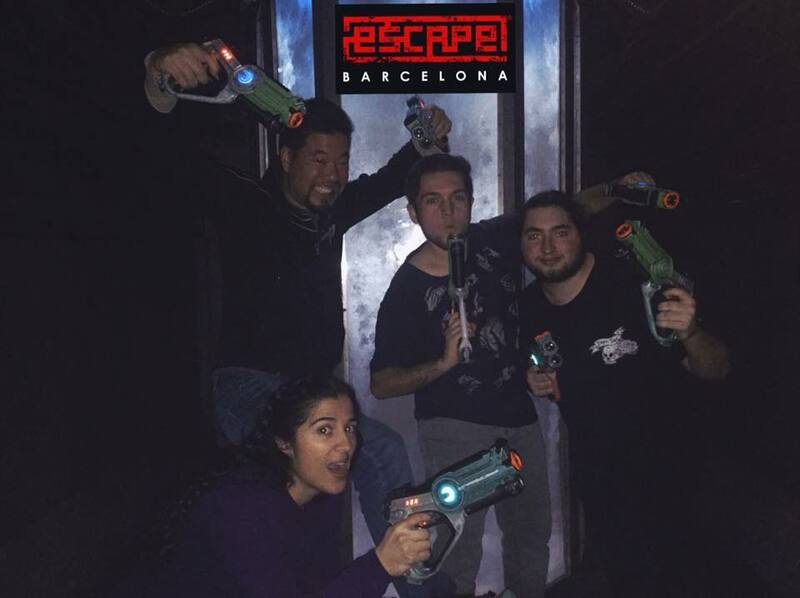 The game was made up of both process driven puzzles and "aha" moments which was well balanced throughout the escape room. 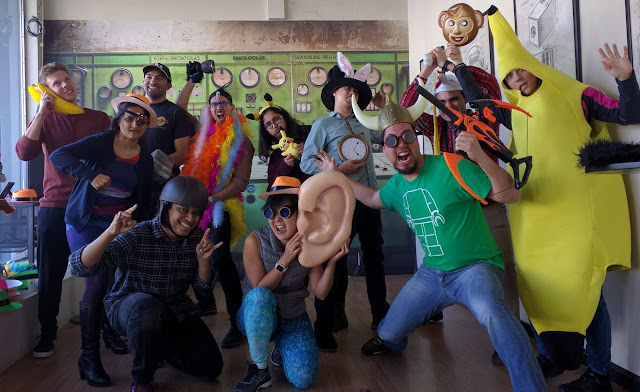 There was a unique science-based puzzle that was not common in escape rooms. It had us scratching our heads for a moment but a "eureka" moment saved the day! The game started off in a setting that would be very familiar for experienced players. This wasn't necessarily a bad thing, especially for beginners, but there are many puzzles elements that would be instantly recognizable by enthusiasts. The game certainly becomes more interesting after the first portion of the game which was actually a good way of ramping up. The Space Travel Agency was a family friendly room that was enjoyable and charming. While it may be on the easier side, it was still incredibly a fun experience and one of the best rooms that we played in the area! There was a good mix of puzzles ranging from riddles, search and correlations. The story took place in the Harry Potter world with significant references throughout the game. The game succeeds in creating a fun atmosphere without having to resort to high tech elements. There were more padlocks than the latest rooms we've played in America but the group still ran around as if they were students in Hogwarts. The hint mechanism was pretty creative and also had a strong nod to the Harry Potter movies. For Harry Potter fans, being in the universe is quite the delight. For me, as a muggle, I would say the GM interaction was fun and thematic. There was more than one puzzle that used some of your senses other than sight and touch. One puzzle would have taken me, and it seems many others, forever to do because not everyone has an ear for certain things. Other than that, experienced players may fly through this room. This family friendly room was fun for our entire group and even if you aren't a Harry Potter fan, you will still have a great time.